It all started from a delicious Pretzel bagel. Swapping faces can be fun. Which is why many face-swap apps (including the effervescent snapchat) have emerged in the market and that Instagram and Twitter are filled with such posts. 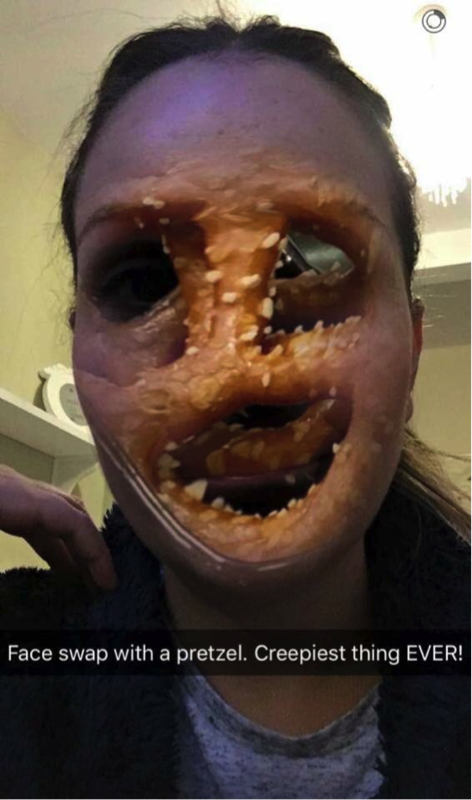 But what we didn’t know was that swapping face with pretzel could bring out the most unsightly of sights. Rather, can one also add the sight to be eerie and frightening? It reminds us of the scary zombies from the movie ‘Evil dead’.